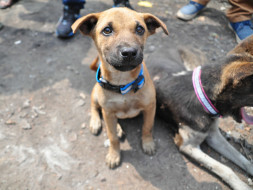 GLOW IN THE DARK PHASE II : Animals Need Importance Mercy Aid Love and Shelter (ANIMALS) have decided to continue the ambitious project to provide reflective collars for 500 street dogs in the vicinity of Guwahati city. To prevent accidents during night, to provide each and every stray dogs an unique identity by proving an unique number in the reflective collars and maintaining a database and to create awareness among the masses about saving and caring animals. 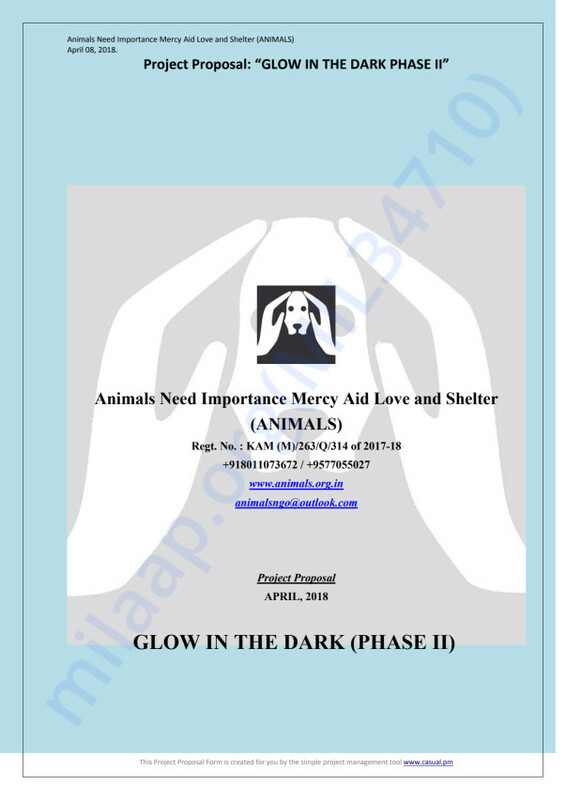 This initiative will be the phase II of our ongoing project GLOW IN THE DARK which is one of its kind in north-east region of INDIA and will help achieving the objectives of Animals Need Importance Mercy Aid Love and Shelter (ANIMALS) to create a society which will care about animal lives. 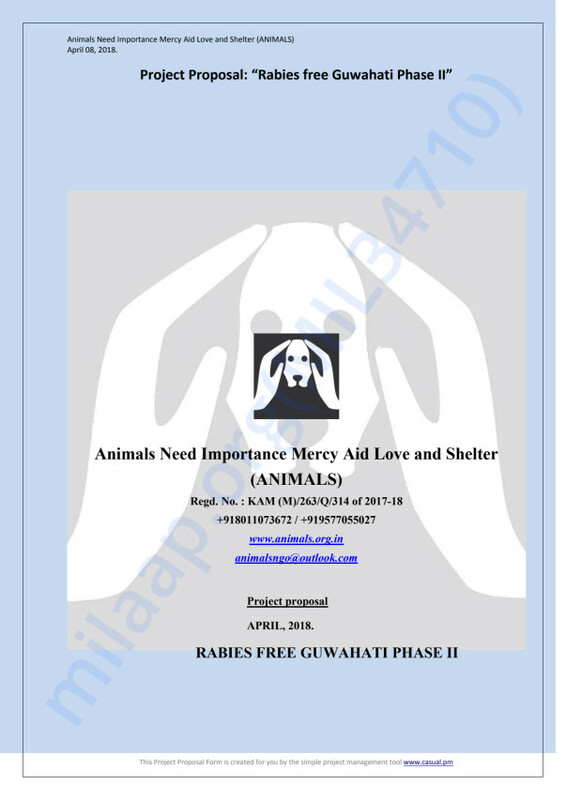 RABIES FREE GUWAHATI PHASE II : Animals Need Importance Mercy Aid Love and Shelter (ANIMALS) has decided to continue a project to provide Anti-rabies vaccination for 500 (Five hundred) street dogs in the vicinity of Guwahati city. Anti-rabies vaccination is important for dogs to prevent life threatening “rabies” which can be transmitted to humans with potentially deadly results. This initiative is the Phase II of our ambitious RABIES FREE GUWAHATI project which will be taken not only for the well being of the dogs but also for public health. Animals Need Importance Mercy Aid Love and Shelter (ANIMALS) support regular vaccination of dogs which contributes to their healthy lives and prevent illness which is difficult to treat.